Engage decision-makers in meaningful discussions that yield tangible results. How can my company take advantage of utility trends and data? Which clients or buildings offer the best opportunities for building performance improvements? How can I engage specific clients or executives in an effective conversation about energy use? Tips from industry experts on how to use utility data to build trust with clients and start conversations about building performance. We can support you. Engage with clients and decision-makers by sharing simple, objective facts about building performance that demonstrate relevant energy insight and asking leading questions that identify opportunities for improvement. Energy Insights, powered by Insights ArchitectSM, uses EnergyPrint’s validated, proprietary database to generate business intelligence metrics that drive client interaction. Our team of data experts deliver sophisticated visual reporting and support your efforts to start — and continue — conversations. “EnergyPrint’s monthly data Insights give me a valid reason to get in front of every one of my customers, every single month." We collect, aggregate and standardize 24+ months of utility bill history for buildings and continuously update the data monthly to keep it current and relevant. 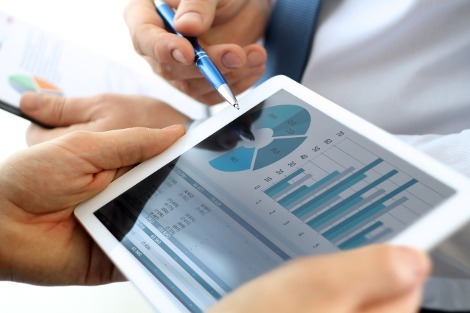 Our experts then analyze and organize your validated data, pulling out relevant insights to share with you. 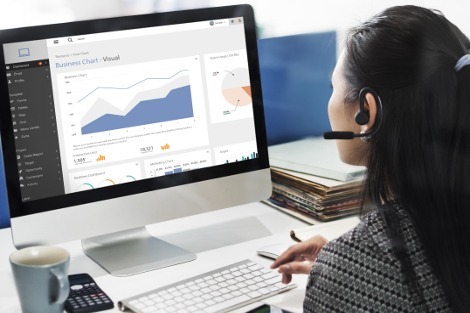 Your dedicated support team then walks you through your insights each month using an interactive, engaging presentation. You’ll have a conversation about potential opportunities and what building and industry metrics are most important to you. You’ll end up with a report summary that provides you with the right questions and talking points to take to your stakeholders and continue the conversation. Armed with the right data, you can show how an energy-saving solution can make great business sense. Every month, you’ll receive a dynamic, interactive presentation that guides you through your portfolio’s most relevant energy insight. Here are just a few examples of insights you can gain. Does your decision-maker understand how the average energy use is impacting utility spend? What about demand costs? Educate clients using current, relevant and accurate energy trends that illustrate your value as a consultant. What’s your company’s specific strategy for office, healthcare, education and other verticals? 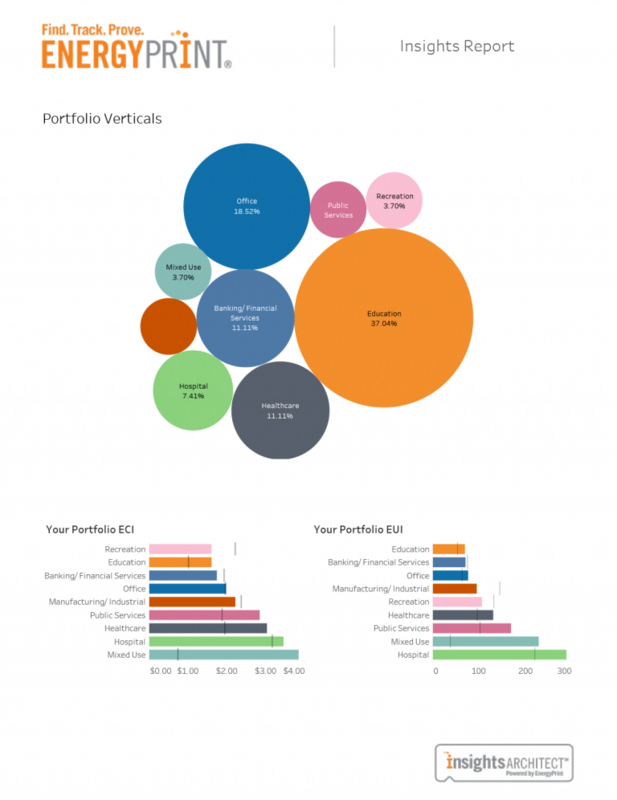 Insights will help you understand portfolio performance, and your dedicated support team will help you define and refine your strategy for leveraging utility analytics. Which clients or buildings have the biggest opportunities for savings? 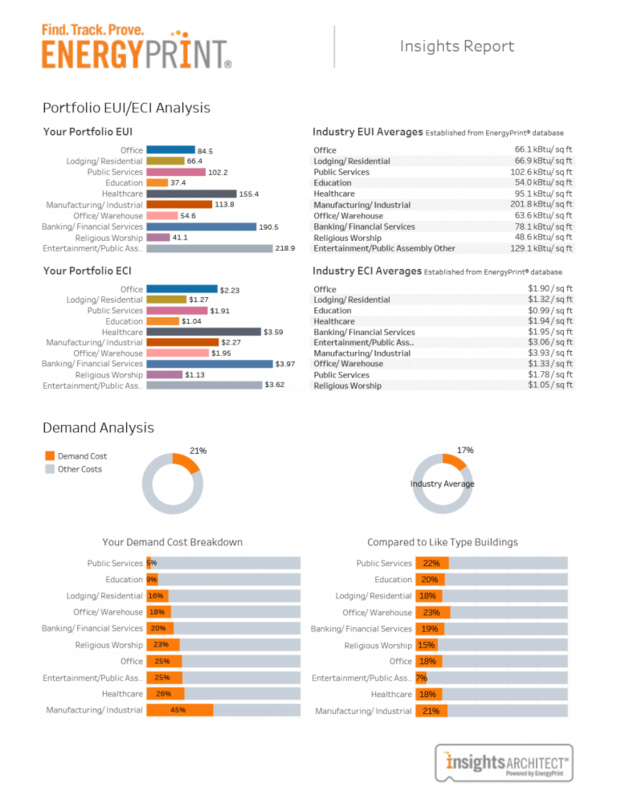 Every Insights report will focus on buildings that represent the best opportunities. Plus, we’ll outline key talking points based on energy use, ENERGY STAR®, demand trends and more. Start a discussion with your team, clients or leaders about energy conversation and how it impacts your business. Access only relevant industry and building trends generated from our growing and validated database. See industry metrics that are most important to you, including utility rates, demand analysis and EUI/ECI. Provide value by communicating complex energy metrics in a way that is easy to understand. Highlight savings opportunities by showing Energy Use Intensity (EUI) and Energy Cost Intensity (ECI) industry averages by vertical segment. Leverage key talking points about building performance trends to effectively approach decision-makers about the need for energy efficiency improvements. 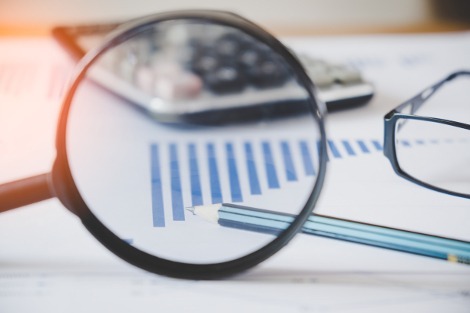 Leverage industry averages from our proprietary database to compare individual buildings and pinpoint priorities to share with stakeholders, including opportunity cost. 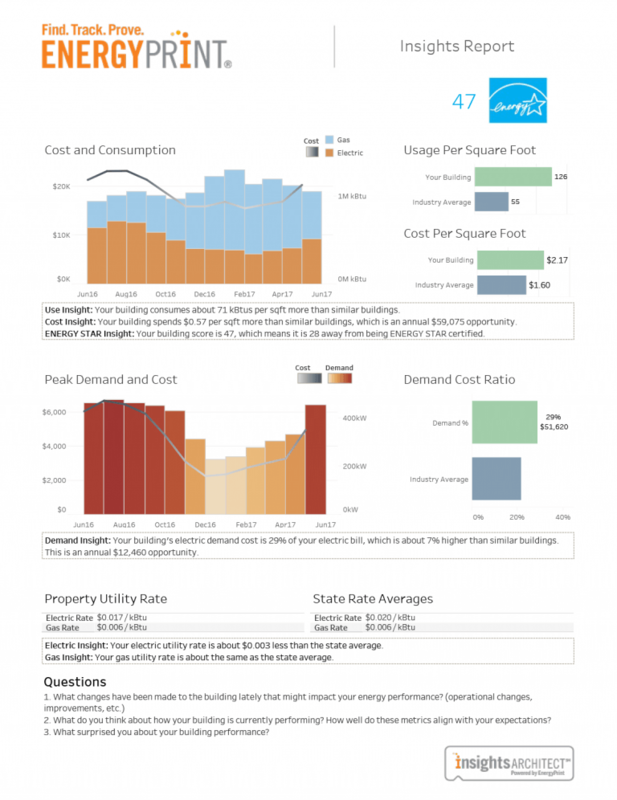 Identify and prioritize opportunities using peak demand use and cost for specific buildings. Demand is an often misunderstood aspect of utility bills and can represent significant short-term savings. See which buildings have higher than average utility rates to help justify energy improvement projects. Higher costs can mean shorter ROI for the same project.